Passau and Vienna – these are the highlights of one of the most beautiful and most popular long-distance cycle paths. 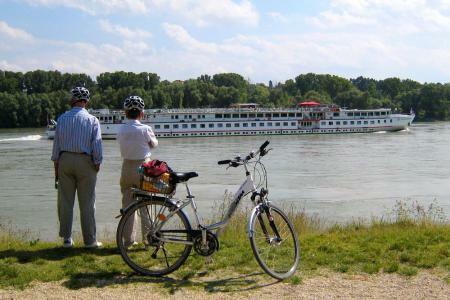 The Danube Cycle Path promises an unforgettable holiday cycling between Passau and Vienna. Touristic cycling tours were invented here and everyone, from state govenors to innkeepers, is concerned with ensuring a pleasant stay for cyclists. The attractive and diverse landscape, the wealth of cultural monuments and the old towpaths along the river, which are no longer needed for shipping, provided the perfect conditions to develop the Austrian Danube Cycle Path, which is still at the top of the list in an international comparison. Look through our pages and let yourself be inspired. Get all the information you need to plan your next bicycle tour, or book one of our perfectly planned package holidays. No matter what you choose, we promise an unforgettable holiday cycling between Passau and Vienna. Nothing compares to the simple joy of riding a bike (John F. Kennedy). We would like to welcome you and wish you an eventful holiday cycling between Passau and Vienna. Peter Schuck and the Best-BikeTours Team.